Old software is used today by millions of people around the world. For some it is out of necessity. For others it is out of choice. If you own an old Computer it is likely to run legacy software. Your applications (and operating system) become older and more difficult to run on newer machines. This is an issue if you prefer an older version of an application because you know how to use it. What would you do if the software is discontinued, or your old computer fails to beyond economical repair? Do you own an old Computer? What is your most favourite computer, Operating System or Applications you have used? Why did you like them so much? Write your own homage to your favourite legacy software. Click here to complete the form, and click here to see what other visitors said. 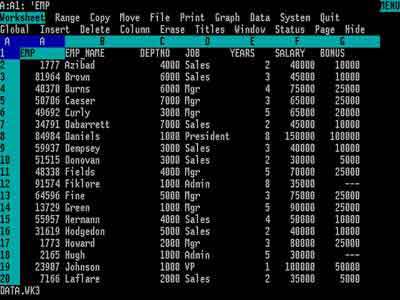 Ah the days of Floppy Disks and MS-DOS applications from the 1980's such as Lotus 123 spreadsheets. That takes me back. More recently, the explosion of the personal computer and Windows 95 from the mid-1990's. All confined to history, or so you think. Would you be surprised if I told you that Windows XP was the the second most popular operating system in the world at the point it was discontinued by Microsoft in April 2014? This was 4 and a half years after Microsoft released TWO further operating systems in Windows Vista and Windows 7. It is in our nature to stick with what we know. New software versions often confuse us, and means we need to learn the new ways of saving that file or putting that border around that image. However it is a step we all take, eventually. Next we look at why you favourite old software doesn't work as well on newer machines. Have you ever tried to install software you own on to a new computer, only to find this type of error message appear? Software programs are written to comply with current operating system(s) are designed. This means when you use them there is less likelihood of error occurring. When vendors such as Microsoft and Apple release new operating systems, they ensure old system files and registry structures are retained for older software to continue working seamlessly. However, this only goes so far. Software vendors like you buy their new software. It's business after all! Therefore they do not retain legacy files and directory structure forever. Once the supporting files are removed, or new features of the latest operating system start to interfere with your old software, it is usually time to ditch it and replace with new. Additional help is provided by vendors to assist with running older version of applications. We take a look at what this help is next. Do not despair just yet if your old software does work with you new computer. There are a few tricks you can try that has worked for me and countless others. VMWare or Oracle VM VirtualBox (Opens New Window) enables you to install older, compatible operating systems in to a 'virtual environment'. This means you can load up your older operating system on your new computer and run your old software. The set up can get quite technical but is straightforward once you have done it a few times. 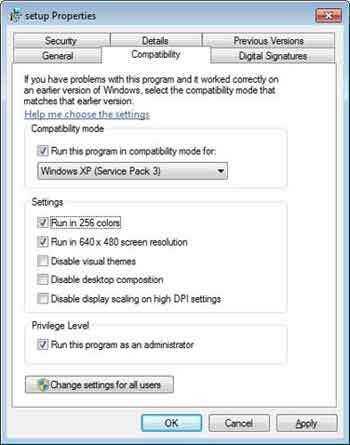 If you own Windows 7 Professional up to Ultimate, you can install Microsoft virtual PC and run what is called XP Mode. Following the same principles as VirtualBox, this is Microsoft's attempts to aid backward compatibility with older software. It enables you to run your old software 'seamlessly' on a newer O/S. What this means is a cut down version of Windows XP runs hidden in the background. When you load your old application it looks just like it is running in Windows 7. What is actually happening is the old software is running in a 'virtual XP bubble' which contains all the required files and settings to run your old software properly. The image below shows Internet Explorer 6 running seamlessly on Windows 7 (IE6 is not compatible with Windows 7 or above). If you have lost your old applications there are lots of places to find them. eBay and other web sites hosting legacy programs in the public domain i.e. no licensing implications if you install are easy to find with a little research. My advice is to avoid using old software when they become troublesome to install or use. Next we look at some of the legacy software tutorials written for home computer users. If you are using virtual software or need to run older versions of Internet Explorer, you have come to the right place. Detailed below are the tutorials written for this web site for software that has gone End of Life. Instead of removing them I have placed them below for your reference as I believe lots of people use this software today. 1: How To Install XP (Opens New Window) shows you how to navigate through the initial text based pre-requisite decisions. 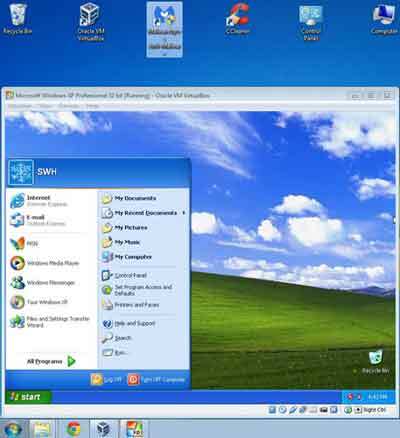 2: Windows XP Clean Install (Opens New Window) takes you through the initial choices such as Personalising Your Installation and entering Your Product Key. 1: Microsoft Windows XP Updates (Opens New Window) discusses what Windows Security Updates are and why we need them. We take a look at the different types of technical updates Microsoft issues and when Microsoft release their updates to the public. We also review the Microsoft Technical Severity Rating Table so you know what to do when updates ranging from types Critical to Low are released. This tutorial gives you the bigger picture with regards to Microsoft XP updates. 2: Microsoft XP Updates (Opens New Window) walks you through the technical steps to set up, install and test the updates applied to your home computers. We also look at how to fix updates that is causing your computer problems. The last Service Pack to be issued for XP is Service Pack 3. Do you have SP3 installed? Does your Operating System CD include Service Pack 3? If not don't worry. 1: Do Not Download Windows XP SP2 (Opens New Window) explains why staying on SP2 is not a good idea! The biggest technical problem is missing out on new Security Updates, leaving your computer vulnerable to attack. 2: Windows XP SP3 Download (Opens New Window) talks you through the technical process of installing the latest Service Pack onto your home computers. System Restore Windows XP (Opens New Window) shows you what the restore process is, how to create restore points and use them to help fix new technical problems with your computer. 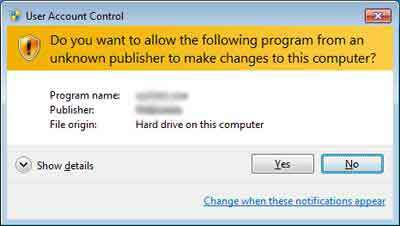 For example, has a new device driver caused your printer to stop working? Are things not working properly after running the Disk Defragmenter tool? Think of System Restore as a tool that can help you overcome such issues. If System Restore does not resolve your technical problems, consider using the Windows XP Recovery Console (Opens New Window). This tool is what the IT professionals use to fix technical issues such as a computer that does not start up properly. You can use this tool too. Read the tutorial to find out how. Have confidence, and you can do this yourself! 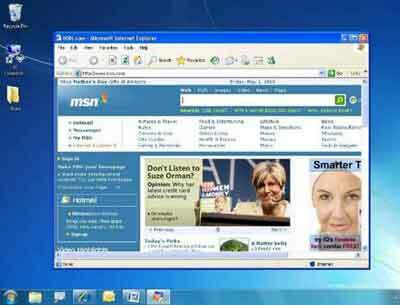 1: Internet Explorer 8 (Opens New Window) introduces you to some of the new web browser features. 2: Internet Explorer Software (Opens New Window) continues the introduction, including how to make the best use of IE8 so you and your family are secure online. 3: Internet Explorer Updates (Opens New Window) gives my views on how to set up certain options such as Parental Controls for maximum home user effect. 5: Internet Explorer Running Slow (Opens New Window) continues with more technical suggestions on how to prevent IE from slowing down. 6: Reinstall Internet Explorer (Opens New Window) when all else fails. Sometimes you have no choice! 7: Internet Explorer 9 (Opens New Window) outlines what is different compared to Internet Explorer 8 and how to use new features such as the Address Bar Search. Dell is a very popular home computer provider. There is an extensive range of on line technical tools and options for you to keep your PC well maintained. Some Dell tools are confusing to use. This section walks you through how to access and use the best of Dell's technical tools to maintain your home computer. 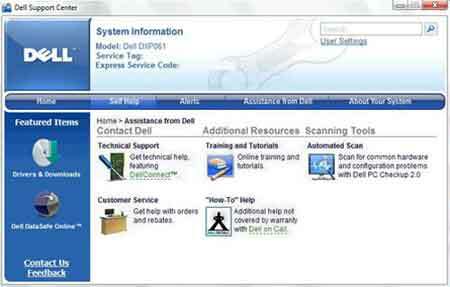 1: Dell Support Online (Opens New Window) looks at what you need to do to download and install the Dell Support Center/My Dell software onto your computer. 2: Dell Support Center (Opens New Window) looks at what this tool offers home computer users and how to get the most out of it. It helps you find the relevant information to maintain your Dell system. This is one of several options we look at. 3: Dell Computer Support Center (Opens New Window) continues showing you other features of the software tool I think are useful for you to know. A key technical service offering is the Dell Support Drivers (Opens New Window). Here we look at how to manually identify which Device Drivers on your computer need updating. We also look at a couple of ways to download device drivers from the Dell web site, and how to extract and install updated device drivers. Dell Online Support (Opens New Window) shows you the essential links you need to get the best out of what Dell has to offer. This is a good starting point if you do not want to use the tools available. We look at things like how to find your Computer Service Tag, use the System Profiler Tool and how to take advantage of the DellCares Twitter Feed. Tell us about the software you used to use. What was the software called? What computer hardware and operating system did it run on? What software do you use now instead? Do you use virtual software?